On February 1, the United States announced its suspension of the Intermediate-Range Nuclear Forces Treaty (INF), a 1987 nuclear weapons-control pact between the Soviet Union and the United States. The decision came months after United States President Donald Trump announced the intention in October 2018. In response, Russia also suspended its compliance to the INF in a widely expected move. The US is expected to fully withdraw from the treaty in six months if Russia does not halt its alleged violations. The breakdown of the INF has raised fears of a possible nuclear arms race that could push the world closer to nuclear war. The INF resolved a growing crisis in the 1980s, when the Soviet Union and the US deployed ballistic missiles in Europe capable of carrying nuclear warheads that require as little as ten minutes to reach their target. Fear of the destructive capabilities of these missiles drew former United States president Ronald Reagan and former leader of the USSR Mikhail S. Gorbachev to the negotiating table. Together, the two leaders hammered out the INF, a treaty that banned either side from installing ballistic or cruise missiles with a range between 500 and 5500 kilometres. It did not cover missiles launched by air or sea, such as those fired from ships, submarines, or planes. The landmark agreement eliminated more than 2600 missiles and was an important step in ending the nuclear standoff between the two powers in Europe. Russia or the US: Who Violated the INF? Washington announced its suspension of the INF after accusing Russia of violating the treaty since 2014 with the production of its 9M729 missile, claiming it exceeds a range of 500 km. Russia has denied this and asserted that the missile’s range does not exceed the 500 km limit, while also accusing the US of violating the treaty themselves. Hours after Washington announced its suspension of the INF, Russia released satellite images revealing that the US’ missile defence systems in Romania and Poland were in breach of the treaty, a claim the US denies. The breakdown of the INF will allow Russia to deploy its Kalibr cruise missiles which have a range of 1500 km, capable of targeting most of Europe and adding another layer of complications should tensions and hostilities rise. However, Russian president Vladimir Putin confirmed that INF-breaching ballistic missiles will not be deployed in Europe “unless the US does so.” President Putin insisted that Russia will not be dragged into an expensive arms race unless the United States initiates it. This has not stopped President Putin from stating that Russia will begin development of new hypersonic ballistic missiles capable of traveling five times the speed of sound. These missiles are hard to detect, can reach European cities with minimal warning time, and can avoid European missile defence systems. However, funds for the development of these weapons will be allocated from Russia’s current defence budget. The Trump administration has made clear that being bound to the INF places it at a military disadvantage towards China, which is not a signatory of the treaty. President Trump and his national security advisor John R. Bolton have both called the INF an outdated treaty because it prevents the United States from installing nuclear deterrents against China. China, an economic powerhouse and a growing military superpower, is heavily upgrading and expanding its nuclear arsenal. US officials have raised concerns over the advantage China is slowly gaining in Asia by deploying intermediate range missiles. According to US officials, China’s arsenal contains 2000 ballistic and cruise missiles, 95 percent of which would breach the INF treaty if China were a party to it. However, it is unclear if US allies in Europe or the Pacific are willing to host intermediate range weapons in their territory. The breakdown of the INF entails the proliferation of intermediate nuclear missiles, but it does not guarantee that the United States can station them strategically. What it does guarantee is that Russia can develop missiles that were previously banned, and China can continue to develop a nuclear arsenal. However, unless there is clear compliance from its allies in Europe or the Pacific, the judgement behind the US pullout of the INF is deeply misguided. If Russia and the United States do not renegotiate the INF and fully withdraw after six months, the last remaining treaty that limits US and Russian nuclear capabilities is the New Strategic Arms Reduction Treaty (New START). 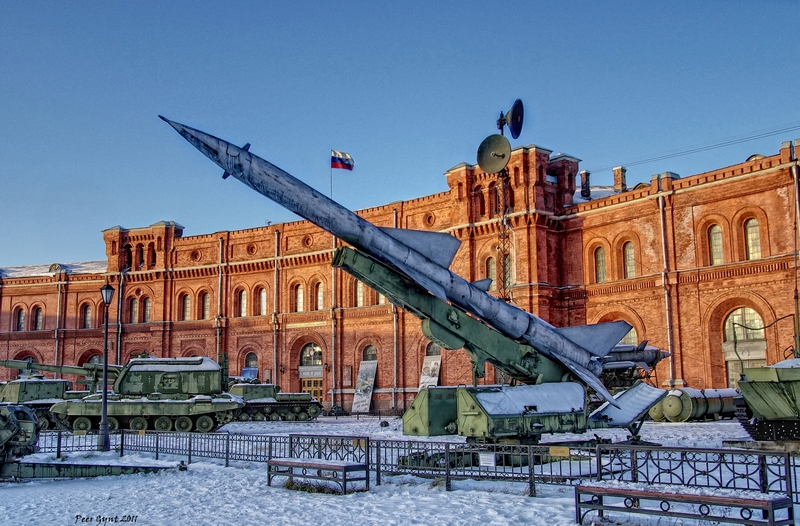 Negotiated in 2010, the pact limits the arsenals of Russia and the US to a maximum of 700 deployed ballistic missiles and bombers, and 1550 deployed strategic nuclear warheads. The New START expires in 2021 with the option of another 5 year renewal. The collapse of nuclear treaties between global powers paves the way for a multipolar proliferation of powerful nuclear weapons, ultimately making the world more unstable and unpredictable. The Soviet Union and the United States were able to negotiate a nuclear weapons-control pact at the height of the Cold War, a historic achievement and a stark reminder for the leaders of today’s superpowers. For decades, institutions have been attempting to decrease the world’s stockpile of nuclear weapons and limit their capabilities, but the breakdown of the non-proliferation framework will produce an inherently more insecure global arena, risking not only an arms race, but the materializing possibility of nuclear war. Featured image by Andrey Korchagin, via Flickr Creative Commons.